Did you know that in 1990 (the year I was born), a mere 4% of US Citizens had a passport? As recently as the 90s, international travel was a rarity. While there were a variety of reasons for this, the main one was cost. Back then, international airfare was at least 2-3x as expensive as today. Think $1200 - $1800 per-person round-trip in economy for a USA-to-Euro jaunt, rather than the sub-$600 it is today (or sometimes even sub-$400 if you are subscribed with us 😉). And don't even think about more exotic locales, such as Asia, Africa, Australia or the Middle East. Tickets to those places used to cost over $2000, sometimes even $3000 round-trip in economy. With prices that high, it's no wonder that few Americans were interested in international travel... It was simply unaffordable. "Progress tends to be overestimated in the short-term, but underestimated in the long-term"
Today things are different. Though you may not have realized it, today we are in the midst of a revolution in the airline industry. 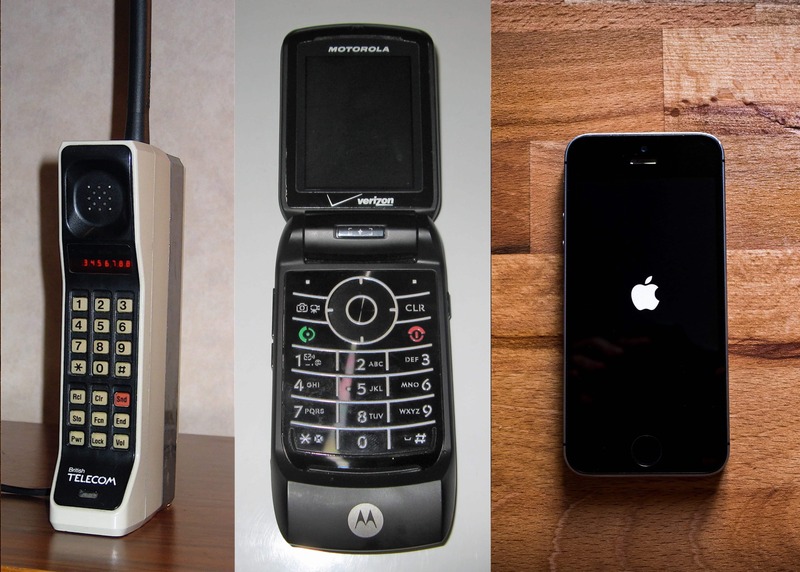 As you can see above, similar to how cellphones & smartphones have rapidly progressed between 1990 and today, so too has the airline industry. Never before has the cost-per-mile to fly been so cheap. The folks at the FlyerTalk "Mileage Run" forum, who are obsessed with finding the cheapest cost-per-mile deals (even if it requires flying out of their way on extra legs) to accumulate frequent flyer miles & acheive airline status have reported CPMs (cost-per-mile) as low as 2.4 cents! For comparison, in 1990 a flight from Los Angeles to Tokyo, with a distance of 5,451 miles each way, costing $2500 round trip, would equate to a CPM of 22.9 cents. ...never before has it been cheaper to travel internationally and see the world. Personally, I've been to 18 different countries so far. In doing so, I've spent over 25 months of my life living outside of the USA, through which I was able to experience different cultures all over the world. 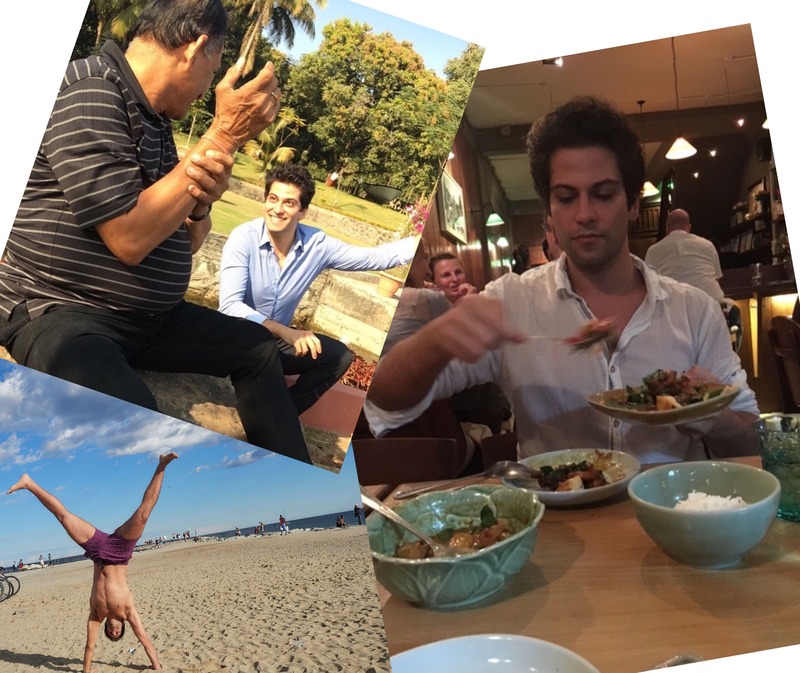 From spending 3 months on the sunny beaches of Barcelona, to 7 months in the hustle & bustle of Bangkok, to 4 months seeing the wonders of India, these are my most treasured experiences & adventures that I'll remember fondly for the rest of my life. But the best part is, you can do it too. 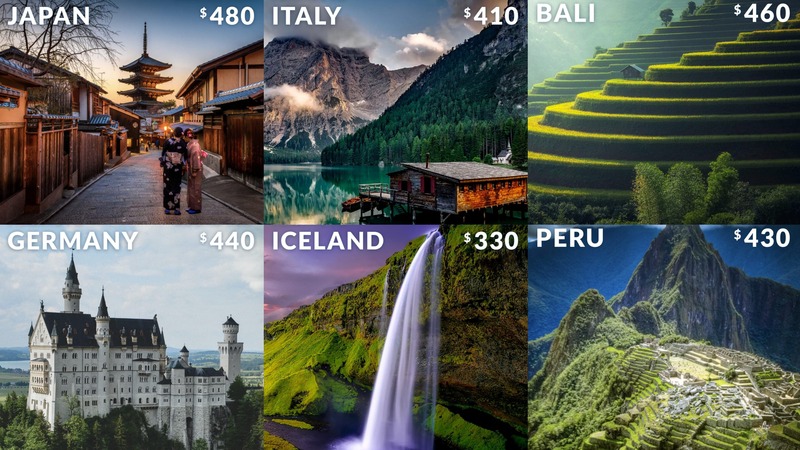 By subscribing to Flights Machine, we'll send the very best (& cheapest) airfare deals from your home city, to destinations all over the world. Want to know how we find such great deals? Visit our "How" Page to learn more. Or click here to sign up immediately if you are ready to start receiving our deal emails. Remember how back in 1990 only 4% of US citizens had passports? Well, as we've shown things have been improving since then and today in 2018 we are up to around 42%. But there's still a long way to go... 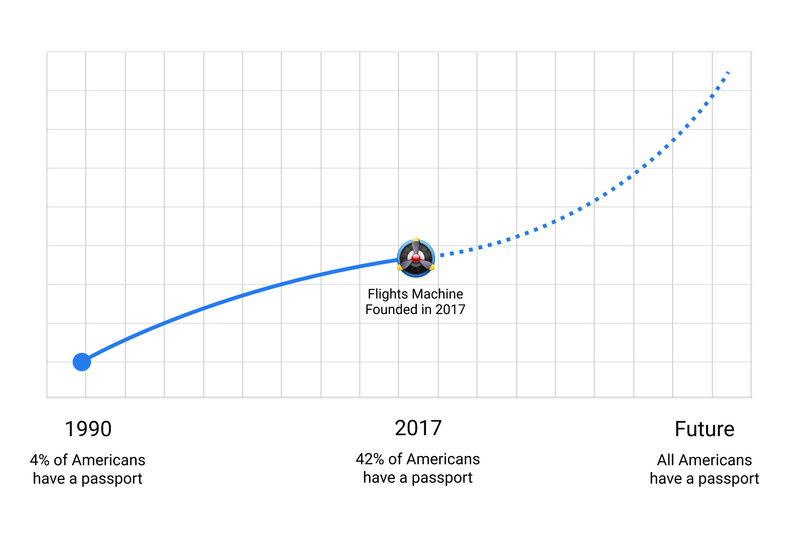 Which is why our ultimate dent-the-universe goal here at Flights Machine is to make international travel *so easy*, *so inexpensive*, and *so accessible to all* that 100% of US citizens own a passport and have taken at least 1 trip abroad. And with your help, we can make it happen. Spread the word, tell your friends, that anyone can travel internationally. If you see an amazing deal that we sent, send the link to your friends or family members and invite them to join you on the trip. Trust me, you're going to have a blast.